Anything can be reason enough for a holiday, even International Yoga Day. While we know you cana��t pack your bags right away and jet off to an exotic locationa��even if it offers the best of asanasa��how about marking your calendar for the months to come? From a retreat in California that boasts a wine tasting to a yoga package in Morocco that includes a desert hike, we bring you some of the best value-added yoga experiences from around the world. Read on. Think Tanzania and youa��ll be forgiven if the first thing that pops into your mind is a safari to spot the big five. But how about learning some yoga, instead? Safari Yoga Retreata��which curates packages with time spent on yoga, a safari, and sightseeing (like a mandatory visit to Mount Kilimanjaro)a��offers classes (for beginners and advanced students) in multiple forms, including power yoga, hatha and ashtanga. 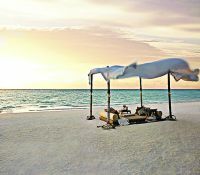 With teachers drawn mostly from New Yorka��s Reebok Sports Club, the classes are conducted on Zanzibara��s white sandy beaches. And if youa��d like to transform your trip into a Karma Yoga retreat, you can extend your stay for an extra two-four weeks and volunteer with womena��s groups, community development projects and environmental conservation projects (at an extra `1,342 per day). Amid the rolling hills and vineyards of Sonoma, California, this yoga retreat offers a unique vacation balancing good health and great living. Attend classes offered by Gayle Olson, the founder of exoticyogaretreats.com, where she will teach you alignment-based yoga that blends hatha, vinyasa, Iyengar, tantric and yin. 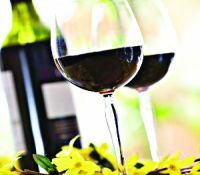 And while youa��re there, attend tastings of boutique winesa��pinot noirs from Anderson Valley, zinfandels and petite sirahs from Redwood Valley and viogniers from Sonoma Coasta��at the popular Zina Lounge. You can also sample wood-fired pizzas and casseroles at another local haunt, the Italian Inn, besides taking a VIP vineyard tour and enjoying a vintner dinner at Boich Family Cellar, a local winemaker. 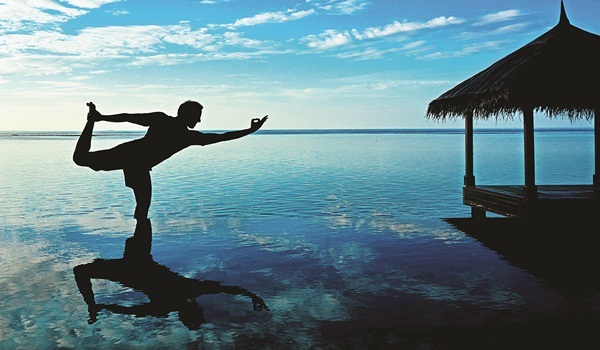 With stunning dive sites and exotic beaches, begin your day here with pranayama. While not mastering your asanas, ride the waves with their free surfing classes, dip below the waves with some snorkelling or take a speed boat and go on an island-hopping tour. The classesa��conducted by teachers trained in hatha yogaa��will be held on the farthest island of the archipelago (just below the equator), which means there is no land between you and the South Pole. You can also see the sun setting and the moon rising in the same sky, at the same time. What better way to understand the true meaning of hatha (sun/moon)! 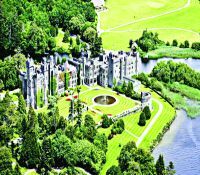 Stay in Castle Ashford and Castle Dromoland, practise yoga by day, and soak up the spirit of Ireland with pub-hopping nights. This programme blends hatha, ansura, ashtanga and vinyasa traditions with mindful meditation. Gayle Olson, the founder, believes in being a�?healthy, fit and mindful, and adding a pinch of mischief and mayhema�?. And just before you head to the pubs, enjoy a gourmet dinnera��including a slow-roasted rib of beef with bA�arnaise sauce and a Nyangbo frozen chocolate moussea��at Ashforda��s grand George V dining room. 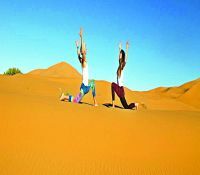 Perumal Koshy, a renowned instructor whoa��s been practising yoga since he was 13, offers you the unique opportunity to do your asanas in the Sahara desert. At his property, Jnane Tamsna, he has created a specialised series of leg and arm balances, and core detoxifying sessions. All meals are cooked with ingredients sourced from their organic gardens. You can also spend nights in tents on the sand dunes, hike in the desert and listen to traditional Berber music. And dona��t forget to ride a camel. Find inner harmony on a yoga break in sublime Tuscany. The famous Adler Spa offers yoga retreats in hatha, kundalini and panchakarma. Conducted in thermal waters, by Ayurveda specialist Narenda Babu, the classes promise to help lower stress and blood pressure. 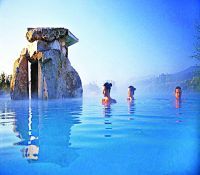 One can also experience the Turkish bath, Nordic walking and hydrobiking. The spa is located in Val da��Orcia, Italy, which is a UNESCO world heritage site.